Ascending Butterfly: Winner Announcement - Ascending Butterfly's $25 BJ's Wholesale Club Gift Card Winner! 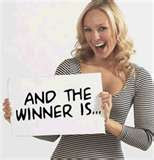 Winner Announcement - Ascending Butterfly's $25 BJ's Wholesale Club Gift Card Winner! Congratulations to 'Tamlynn' (we post our winner's comment/follower names instead of full names, this is why it's in quotes) the winner of Ascending Butterfly's $25 BJ's Wholesale Club Gift Card Giveaway! We would like to thank our sponsor BJ´s Wholesale Club and General Mills via My Blog Spark. We would love to work with you again! Remember BJ's is more than just food, you can even get some of your holiday shopping list crossed off while you are there. Wait! There are still other giveaways to enter! Ƹ̵̡Ӝ̵̨̄Ʒ - Enter to win the Mario Badescu Skin Care Giveaway! (ARV $77) by pressing HERE! Keep checking in daily we will be posting a wide variety of amazing giveaways each week throughout the holiday season! It's just our way of saying Thank You for choosing to spend a part of your day with Ascending Butterfly! BJ´s Wholesale Club and General Mills provided me with the free trial membership, a gift card, coupons and information through MyBlogSpark. This is NOT a paid endorsement, I was only provided with a gift card to shop with. All opinions are expressly my own!